The GlideLite Mix skins from Black Diamond are for skiers who want the most reliable glue in a more manageable form than the Ascensions. The skins are lighter, have better glide, and are more packable than the nylons. 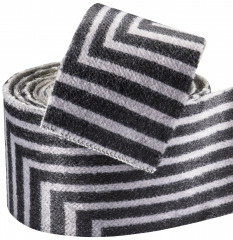 Made with 65% mohair, the mix offers 65% of the glide benefit of natural goat fibers. BD placed them on a thinner, more supple backing so you have a better chance of fitting them in your jacket. The resulting skin is a couple ounces lighter than a comparable nylon. The strongest glue on the market keeps them attached to your skis. Buy the skins by the centimeter and affix with your favorite tips. 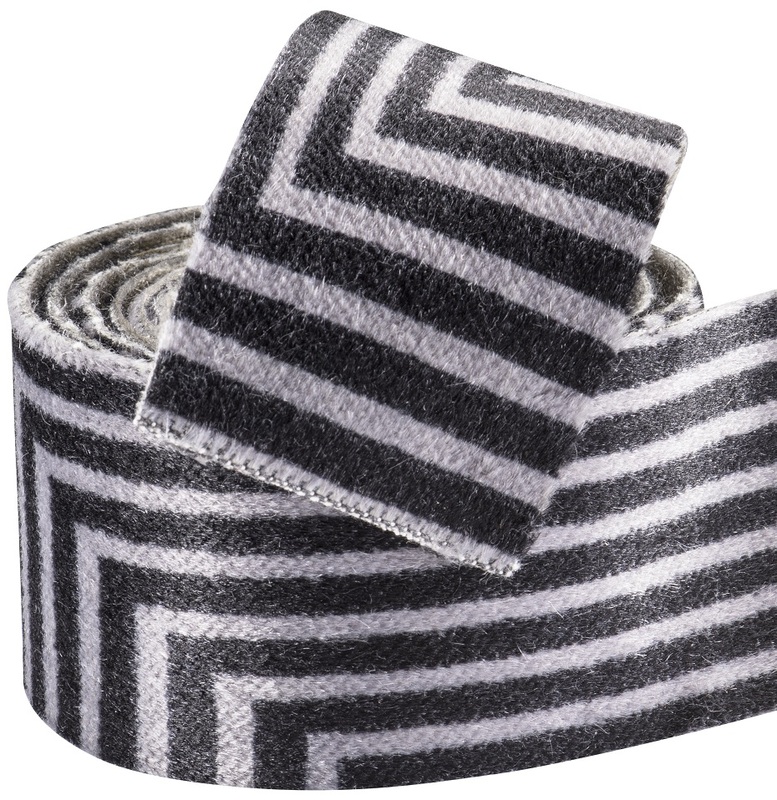 65% mohair and 35% nylon blends grip, glide, and durability. BD Gold Label adhesive is a top secret formula that just works. Packable design takes up 20% less space than nylon skins. 60g lighter than similar models of Ascension skins. Enter your desired length in the quantity field, remembering you probably have two skis to cover. In general, I'm not a BD fan, but this skin material is the best bang for the buck, in terms of durability, glide, and weight. I made custom skins for my SkiTrab Magicos, to be used for late season enduro tours. They performed really well in wet, sloppy junk. I do hot wax and brush them before every long tour. Skimo set me up with the tips. I messed up and ordered a little short, but was able to make them work. I have another pair of Glidelite skins with the BD tip and tail kits, but they fell apart quickly, so I recommend going the custom way. Does it have glue on the entire surface of the skin or only the sides of the skin? Hi June, this material has glue on the entire surface of the skin. Will you be selling the 125 mm width of the Black Diamond Glidelite in the future? Hey Gordon! No promises on future availability but we have definitely carried it in the past and had great success with it (the reason why it's sold out) so I'd imagine we'll be seeing it back in stock shortly, but quite possibly at the beginning of next season. is this available Black Diamond mohair mix by cm ? Hi Pierre, unfortunately we are not able to get any more of this skin by the meter. Just to confirm these are sold by the centimeter not millimeter like the Pomoca skins? Nevermind its in the title and the Pomoca skins are per cm as well. I have these on a couple pairs of skis, in an experiment to see whether they really are "the best of both worlds" in nylon vs. mohair. Through last season, it's clear they glide better and I'm not noticing any deficiencies in grip (on the wall-to-wall cut pair, as you might expect). Out of the bag, the plush feels very different than nylon, and much closer to mohair, which would make sense given their composition. They are a touch lighter and more flexible, but with the standard BD tip/tail attachments, and the standard BD glue, I'm not noticing much difference in use. At the very least I can say they have no noticeable deficiencies over BD nylon skins, and they show no signs of wearing out with plenty of mileage. Overall, what you would expect from good skins: if they're doing their job, you won't even notice they're there.